“I can’t remember when was the last time we actually had two whole weeks without the kids—probably before we had kids.” Ceres and Jason are the parents of first-time campers, but they prepared with the wisdom of veterans. Even as they were packing for their children’s camp adventure, they planned to make the most of their own time. They both took a few days off work and decided to strike a balance between getting things done around the house and having fun. 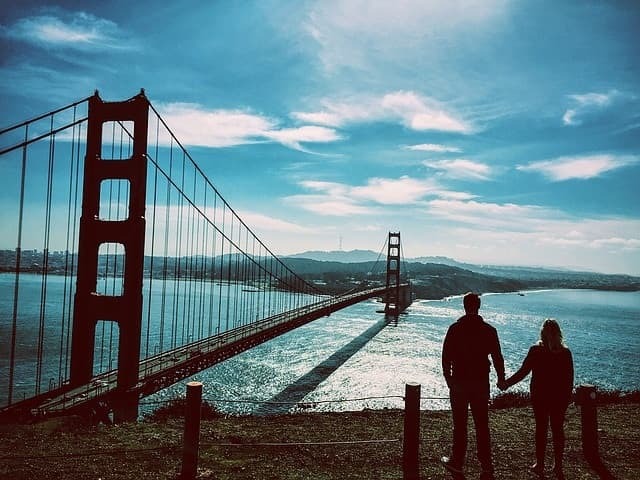 After hugging and double-checking and finally letting go of their two daughters, Ceres and Jason drove away from Kennolyn and went straight to San Francisco for a couple of nights of carefree exploration, like they used to do years ago. Summer camp is absolutely about the exceptional benefits for your kids, including direct experience with community building and unique challenges like overnight backpacking and fashion design that your kids don’t get at home—as well as the chance to live life for a week or two relying on their own judgments and decisions (since they can’t lean on yours here). All that hype leading up to their camp session? You can relax once the kids are safely settled at camp. They are in our caring and capable hands. The days are yours! Take a romantic nighttime hike. Right along the Presidio itself, the Twin Peaks, and Mount Tam are all great possibilities for night hikes in the San Francisco area. Eat out and take your time! I keep a list in my phone of San Fran restaurants to visit when we don’t have the kids in tow. It doesn’t happen often, and I don’t want to forget the hopeful possibilities in the time between. Visit quiet, peaceful places like the landmark City Lights bookstore or the San Francisco Museum of Modern Art. Take your reading to a coffee shop and sit alone together for as long as you want between your outings. I forget just how much I love this until I get to do it again without constantly picking up my phone to watch for when I need to pick the kids up from somewhere. Ride bikes along the Golden Gate Bridge or even all the way to Baker Beach. You can bet that your kids are soaking up the sun, so go ahead and do the same. Yes, you can plan to be productive around the house, but take advantage of the time to do things you can’t normally, such as cleaning the floors when there aren’t feet to walk across them or organizing bills and paperwork that demand a long stretch of your undivided attention. And do balance the work out with fun. I’d encourage you to focus on your relationships with yourselves and with each other. You give so much love and attention to the kids. It’s easy to forget that you need the same. If you find yourself thinking or wondering or worrying about your kids, you can always log into our Campminder to look for photos of their adventures or send them an email or handwritten letter they can keep with them in their cabin. Then, get back to you and your San Francisco adventures because this time is going to go by quickly. Your kids will return home invigorated by their growth, and you can meet them with your own refreshed, recharged energy, more connected with yourself and with them. Are you curious about the list of things your kids will be busy with during your free week(s)? Get in touch with us now to take care of planning their experience, so you can give some space and attention to your own.